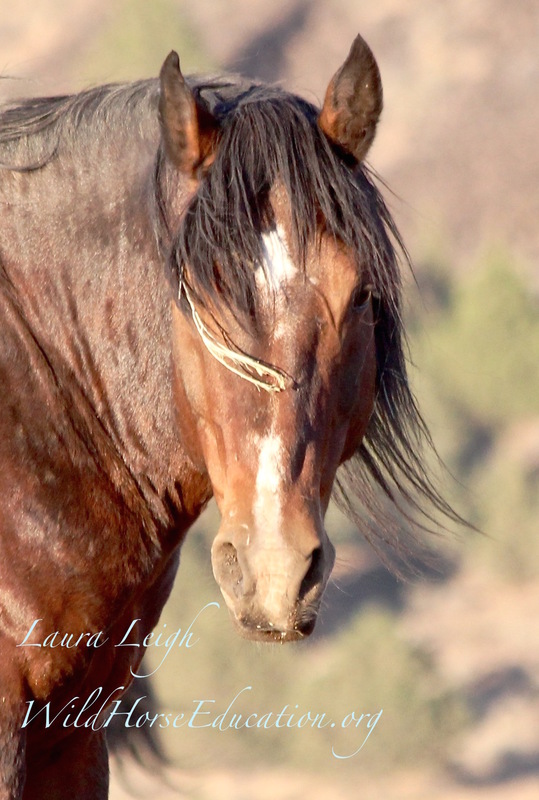 We wonder if BLM will include wild horses and burros on the 2016 calendar? (Nope, not in the 2016 calendar either). Yes, “National Fossil Day” is a real date on the calendar. The calendar that hangs in Wild Horse Educations (WHE) office is one created by the Bureau of Land Management (BLM) of Nevada. The calendar created by the BLM has tons of interesting dates. “Make a Difference Day” is October 24. Mineral Leasing Act was passed on February 25. The Taylor Grazing Act was established on June 28. The BLM itself was established in 1946 on July 16. National Pollinator Week begins June 15. The Wild Free Roaming Horses and Burros Act was passed unanimously by both houses of Congress on June 19th and was signed into law on December 18, 1971. But you won’t find either of those dates on the NV BLM calendar. All the laws and policies, fun themed weeks and odd notations on that calendar not a single one references wild horses. (WHE is creating a 2016 calendar for wild horses and burros that only contains dates important in the history of wild horses, available soon). This fact makes “National Fossil Day” even more ripe for a rip roaring debate. One of the most heated peripheral debates in wild horse management is the “wild vs. feral” argument. We call it peripheral because it should be irrelevant to management. The law clearly states “wild and integral.” If Congress mandated a pack of golden retrievers be managed as “wild” we would need to follow the law. However when we look at practices of a land management agency that fails to follow the basic principles of law in management (we will write more about that next week on the anniversary of the Federal Land Policy Management Act) when it deals with wild horses, we can see why this debate is actually a bit relevant. In the state of Nevada there are two issues that can bring the public to a literal “stand off;” wild horses and livestock grazing. There is no debate about cows. Cattle on our public land are a European import. They do not exist in a natural fashion in any way with the landscape (regardless of the bought and paid for studies that assert otherwise). Our landscapes are fenced off into grazing pastures and then fenced again with drift fencing to assist in moving livestock into desired locations. Feces does not reseed nor decompose in a fashion suitable to the desert. This is the single most damaging impact to our public land forage and health of an eco-system (note: this does not include areas torn up by a mine). This use is managed simply for the profit of a very select few that produce less than 4% of beef utilized in industry. This is an invasive species that takes precedent over rangeland health and any forage available for “wild things.” However none of that matters to the priority of 80% of available forage on over 66% of public land given over to this interest. Wild Horses, according to the science available and the laws today, are appropriately deemed a “reintroduced native species” protected by an act of Congress. (We know that Fish and Wildlife recently denied a petition by other groups to have the wild horse listed on the Endangered Species list. If you look at the laws that govern multiple jurisdictions that finding was no surprise and we saw that when the petition was filed, and disagreed with the filing feeling that the current politics made such a filing a bad “political move.” Politics often ignores science). Environments evolve too. Species adapt and evolve within the constraints of the evolution of an environment. That means that the horse and the environment were “in the womb” of evolution together and suit each other well. The footprint of the horse is not like an “alien spacecraft” to our western landscape, but a “freckle” that is supposed to exist on that face. The most important ingredient to the North American Continent that did not evolve here (according to modern science) is man. That conversation can spark as many debates as that of the horse, however we are limiting this conversation to science. You can tour the Smithsonian on human fossil records here: http://humanorigins.si.edu/evidence/human-fossils We believe than “man” originated on the African continent about 80,000 years ago. New evidence may place man on the N. American scene about 20,000 years ago (not a land bridge scenario as once believed). However one thing is beyond debate, man changes the environment. Man has consumed and destroyed millions of species and thousands of eco systems, as well as each other, during the time of the footprint of man. We have very exciting new scientific techniques (to nerds anyway) to age remains and determine causes of death. What we are beginning to see is evidence that man may likely have been the driving factor in the (likely) extinction of modern horse from the North American continent around 12,000 years ago and perhaps even later. What is very interesting is that the new evidence points to hunting, not an inability to adapt, to the extinction of the modern horse in North America. The “free roaming modern horse” exists on our western landscape. Feces is completely adapted to compliment the environment by holding moisture and spreading seeds. In the wild horses dig for water in an arid environment, sometimes feet below the surface. Horses instinctively move off water sources to avoid competition from other males and predator species. Think about the “cowboys” that released horses onto our western plains. They adapted, bred with horses in the environment and did not need man to survive. Their ancestors evolved in the environment. Man has changed the environment. Mines have taken over springs and tapped aquifers. Fence lines have turned the word “open range” into a myth. Predator species were hunted to satisfy the livestock producer. Yet the horse has survived. The horse became one of the most significant animals to the building of the history of man. Horses fought our wars, plowed our fields, delivered our mail and became our daily companions in whatever task we required of them. What have we done in return? The pages of the history of the wild horse on this continent are filled with a bloody betrayal. Running them down and grinding them up for chicken feed, fertilizer and dog food led to the passage of the act to protect them in 1971. For over 40 years the agency tasked by Congress to manage them has fenced them in, cut their ranges into pastures for cows, failed to include them in water improvements as mining and livestock sucked the dry landscape drier, rounded them up by the tens of thousands without a humane handling policy and continued to undermine laws to protect them from slaughter. Does the debate over the origin of the modern horse have any significance? It does when you look at the ignorance of historic prejudice to the most significant animal in the history of man. The “origin story,” when added to the human history books, is a testament to the most destructive, ignorant species that has ever existed, modern man. Help us continue our work to fight to keep our wild horses and burros free from abuse, slaughter and to keep them free on the range.